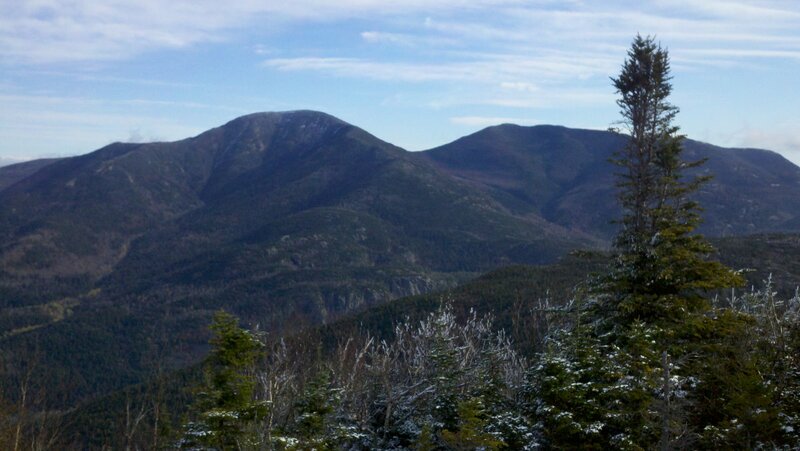 Sometimes the highest peaks aren't always the best. 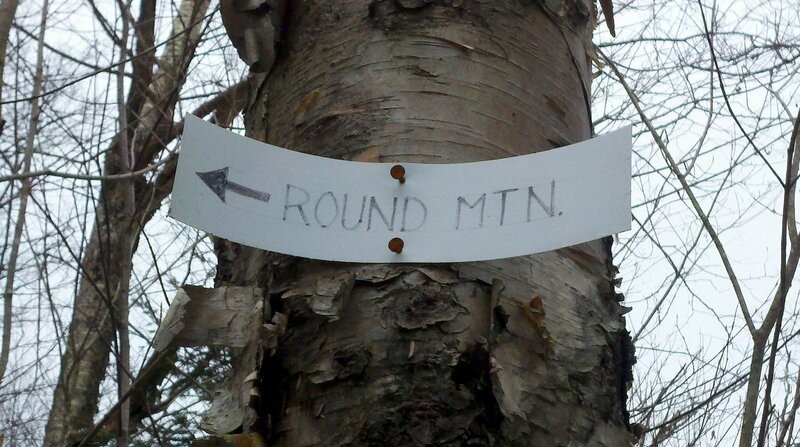 We found that out once again today. 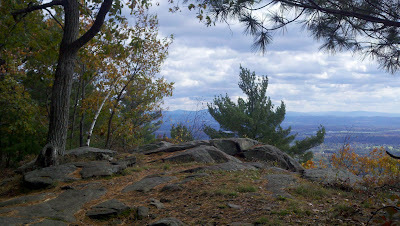 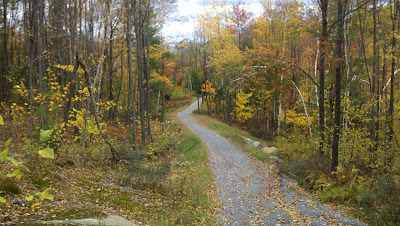 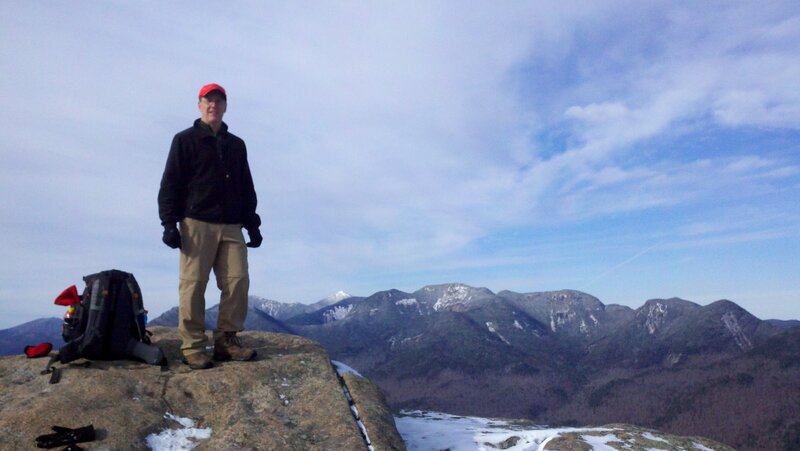 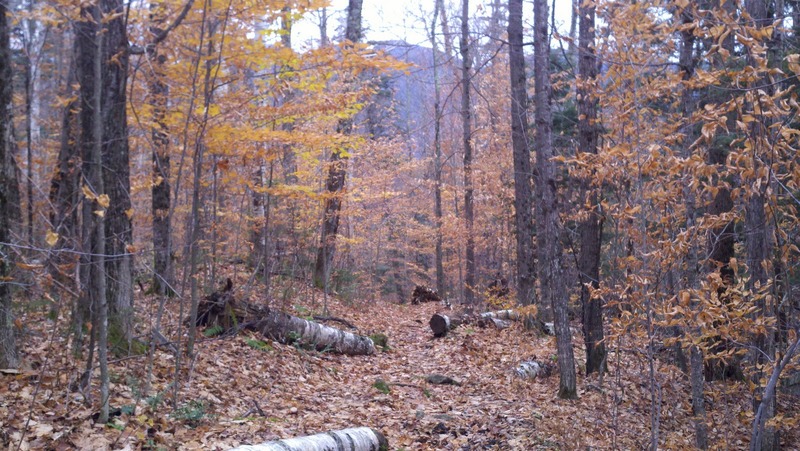 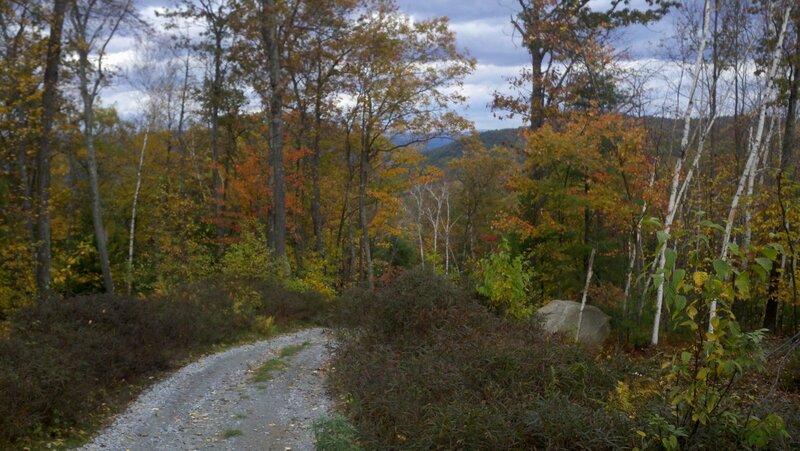 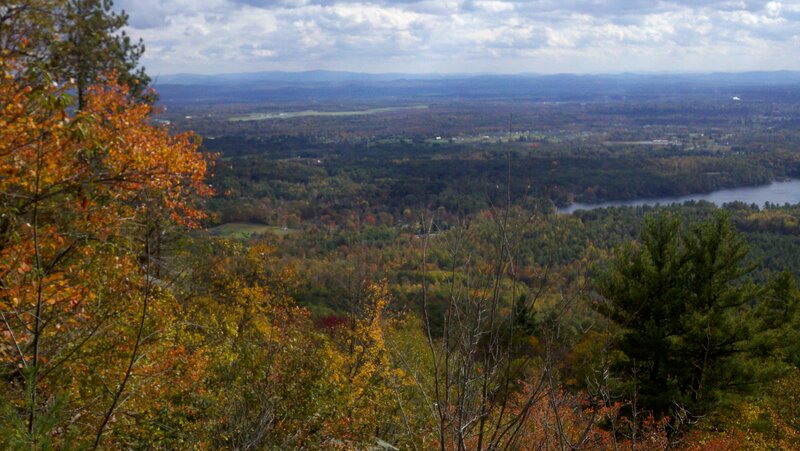 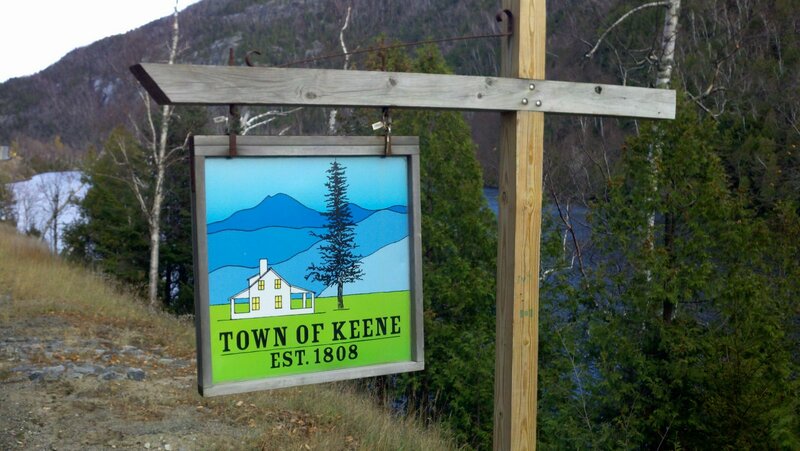 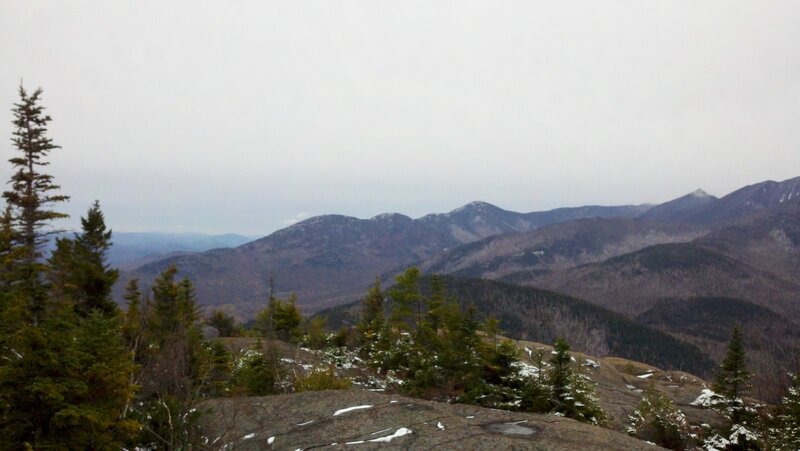 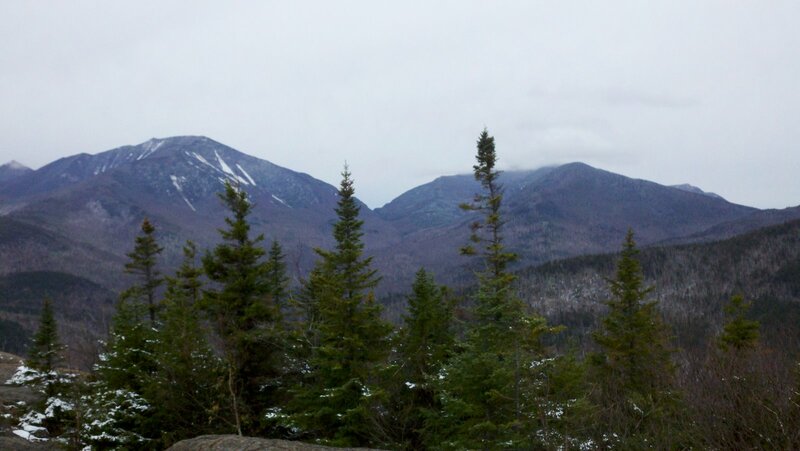 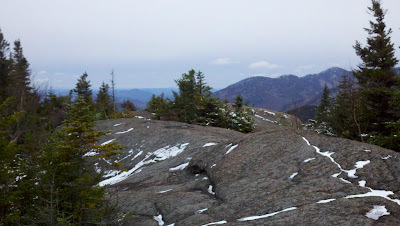 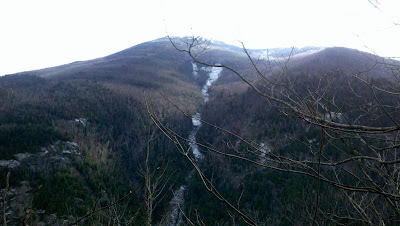 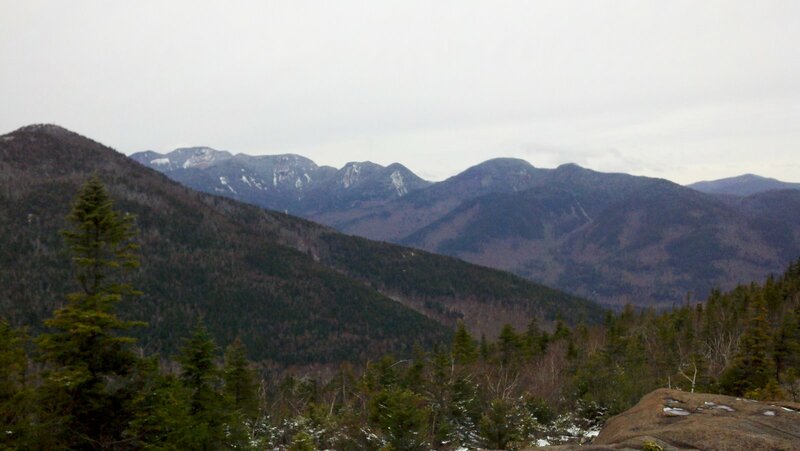 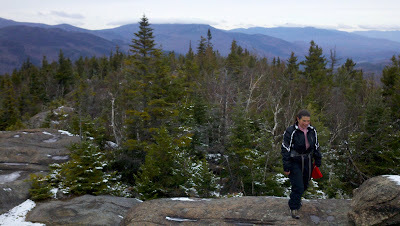 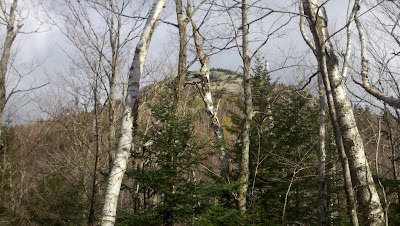 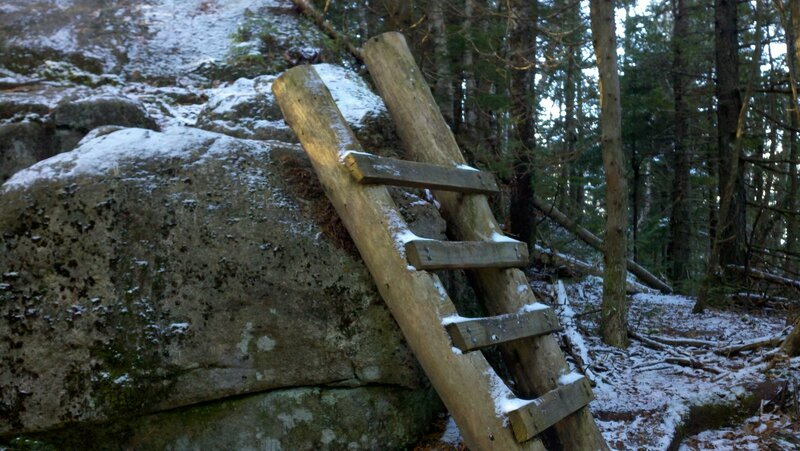 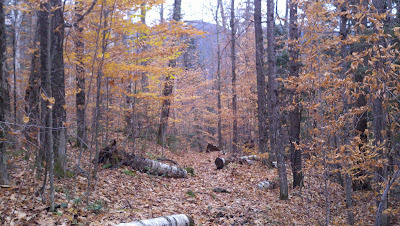 We got an early start on Saturday to hike Noonmark and Round Mountains in Keene, NY. 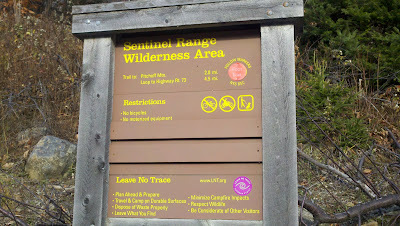 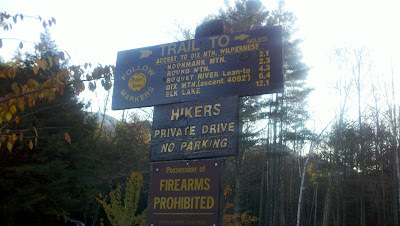 We were on the trail by 8:15. 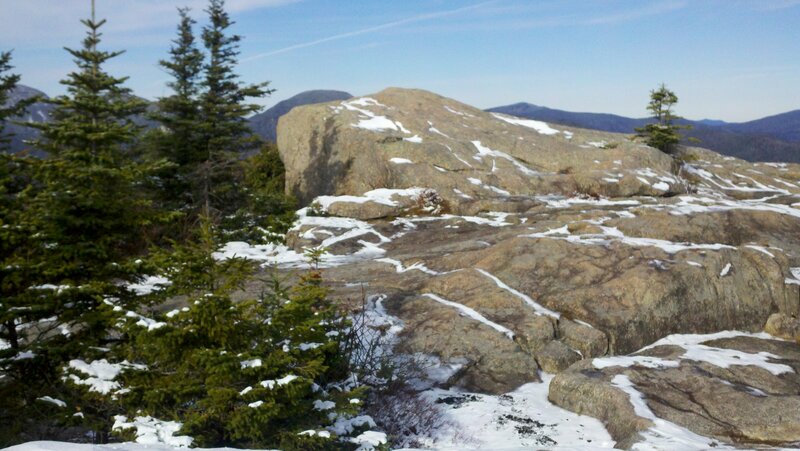 The sun was out early, but a Nor'easter storm was coming up the coast and was expected to bring clouds and possibly some snow by afternoon. 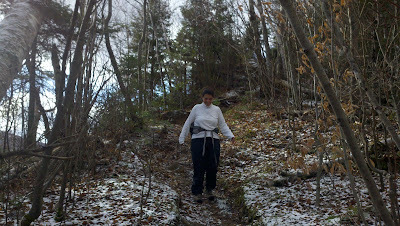 It was cold, probably 25-30 degrees when we started, and it didn't get above 35. 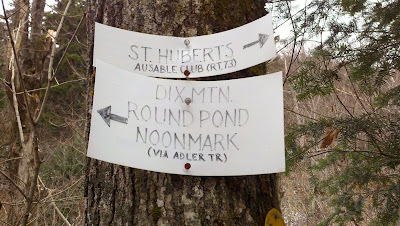 We parked in Saint Huberts. 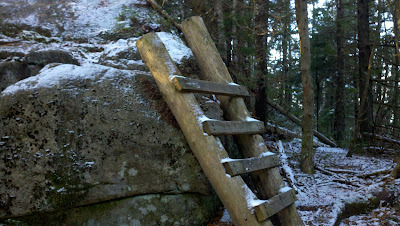 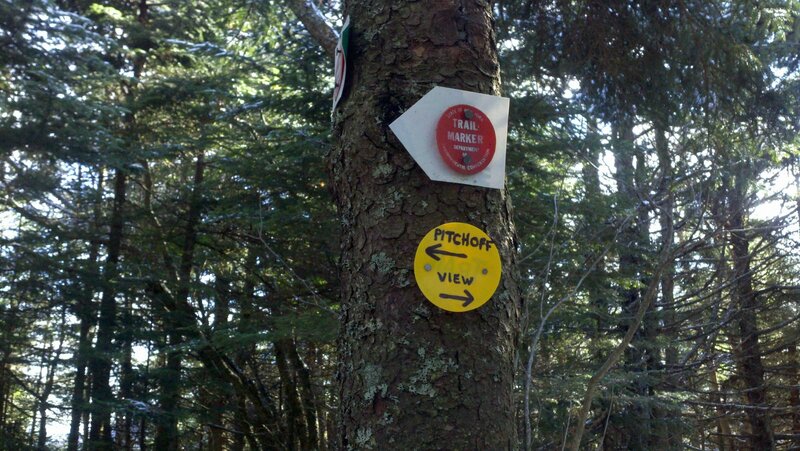 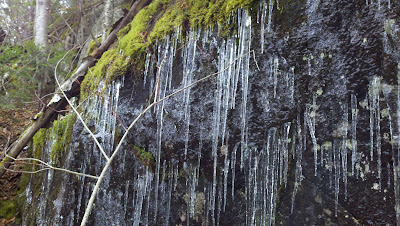 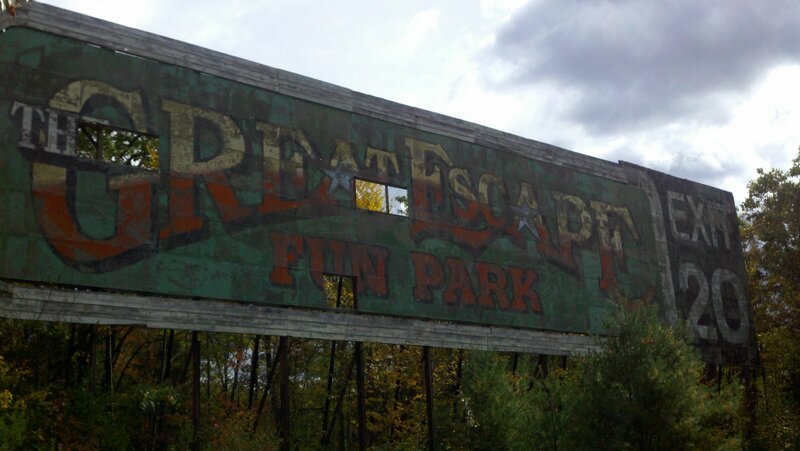 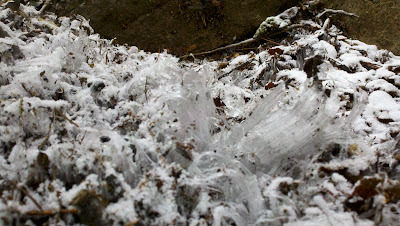 It would have been helpful to have on the micro spikes near the top of Noonmark. 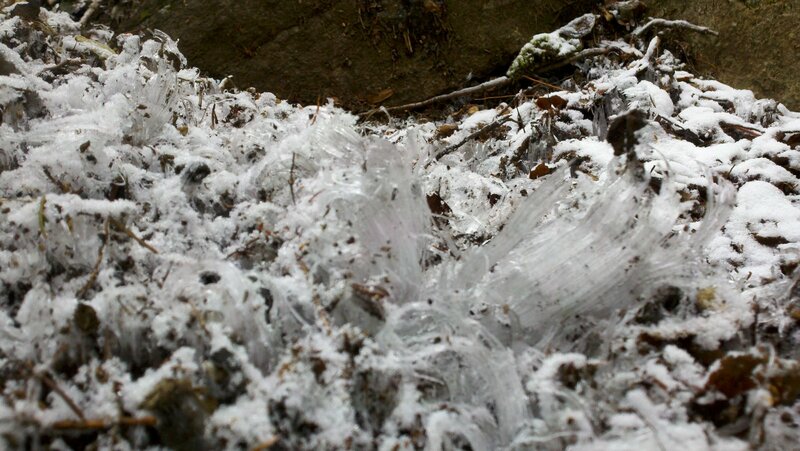 There was a fair amount of ice to negotiate. 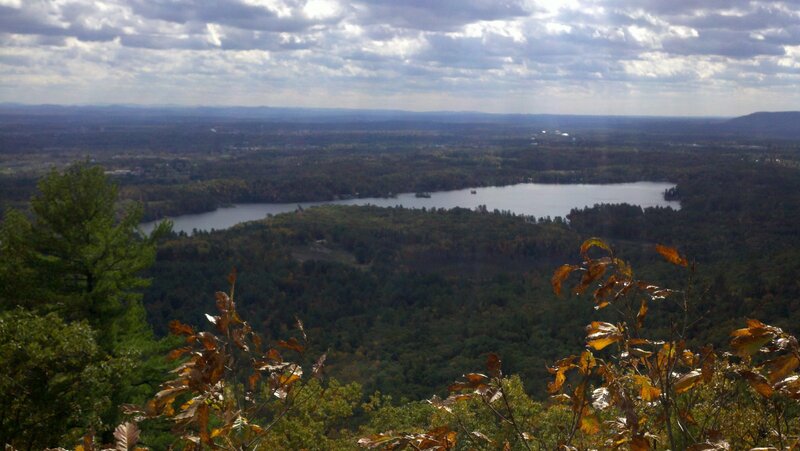 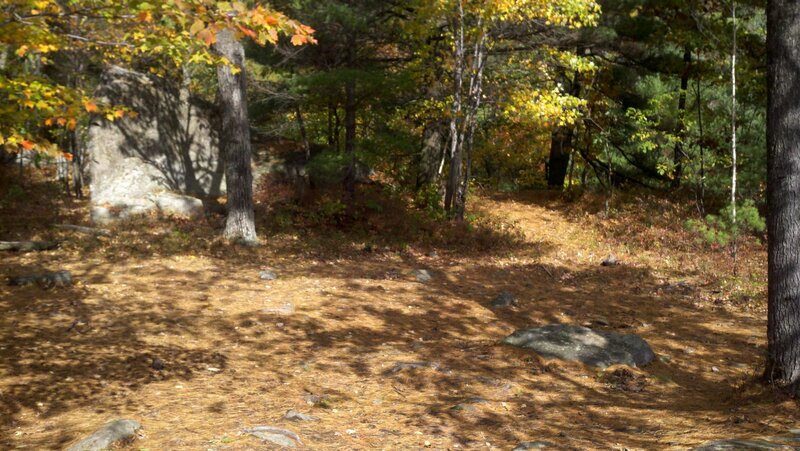 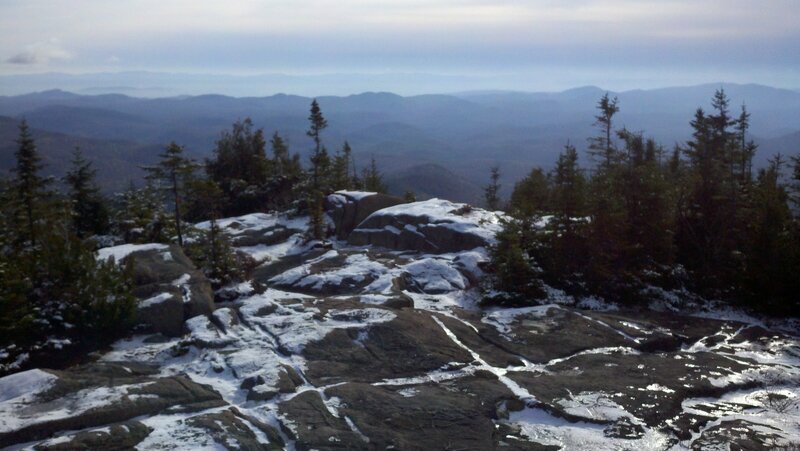 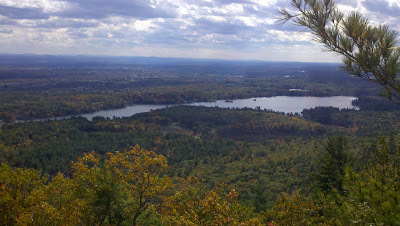 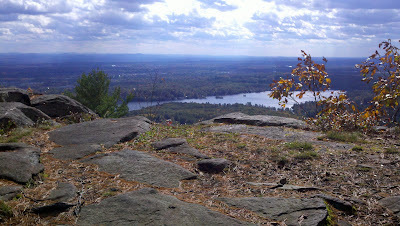 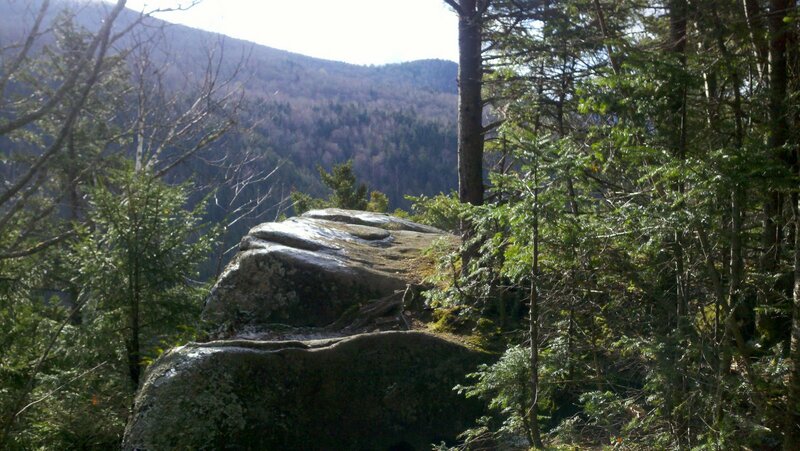 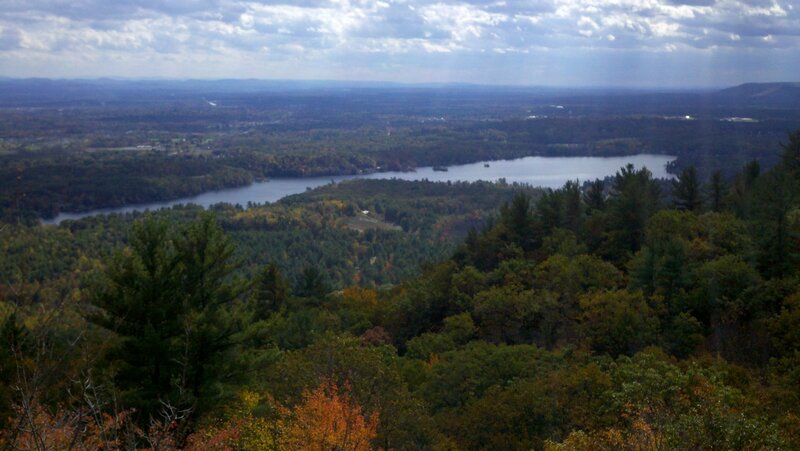 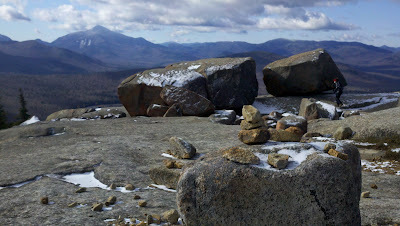 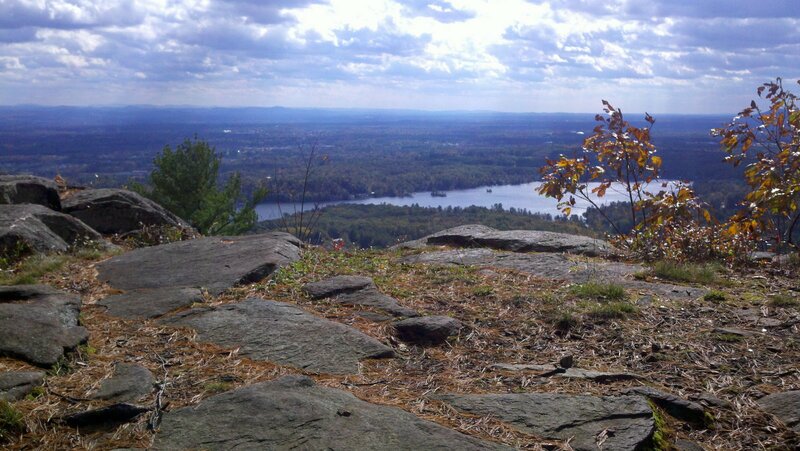 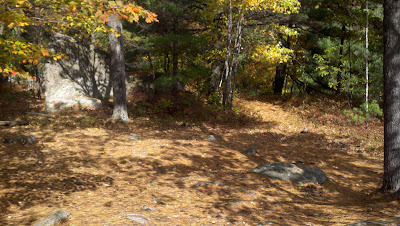 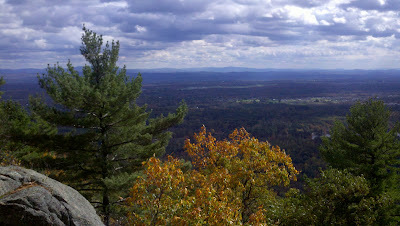 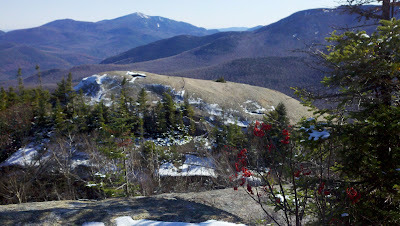 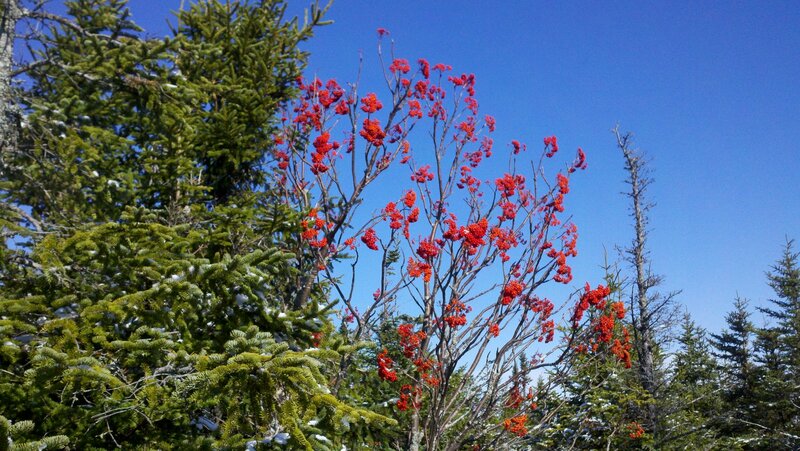 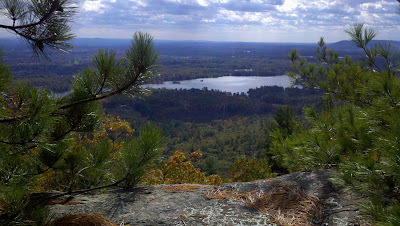 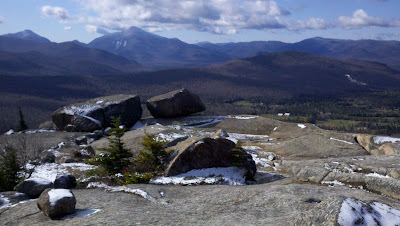 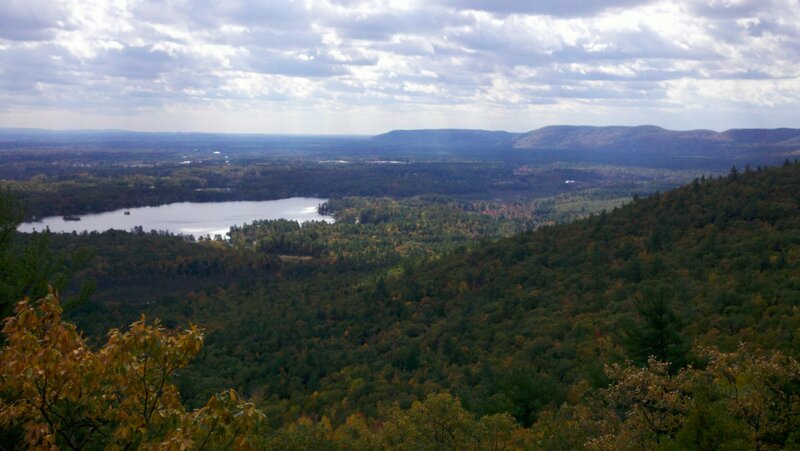 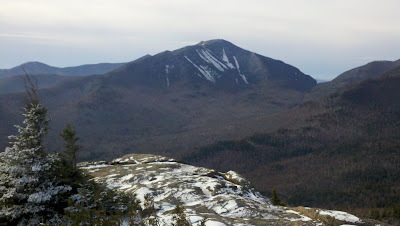 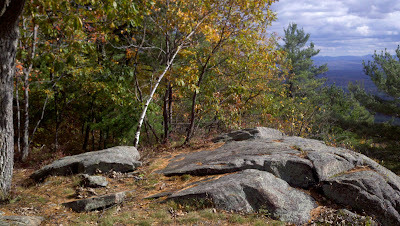 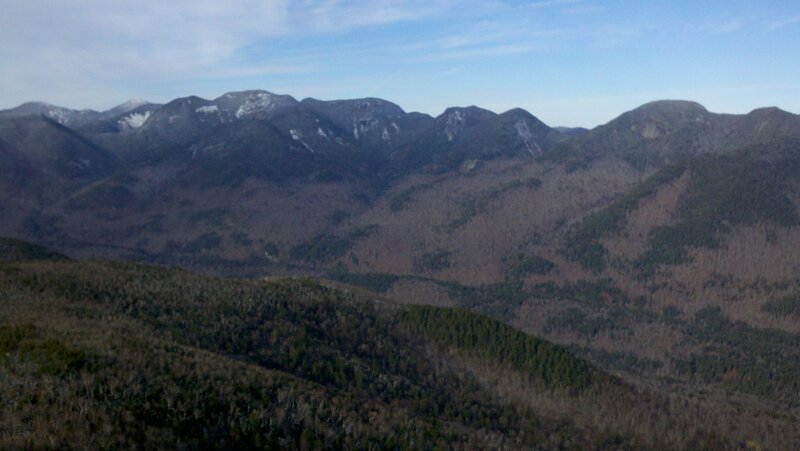 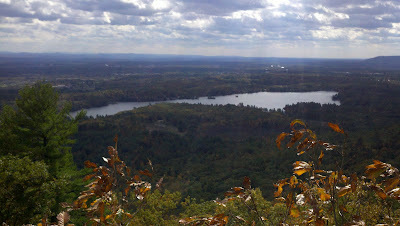 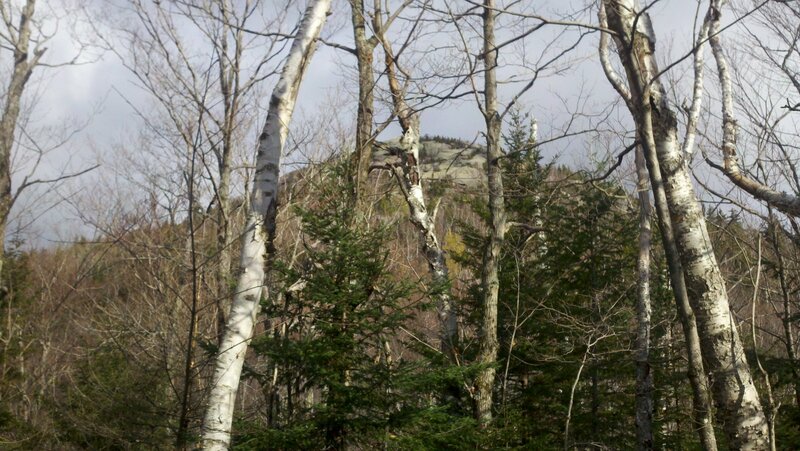 We were on the summit of Noonmark about 10:15 and had nice sunshine. 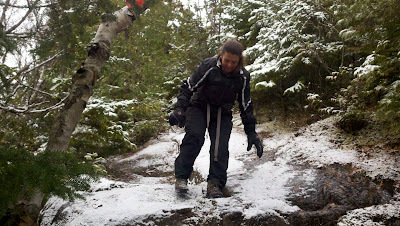 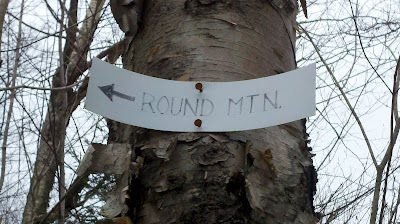 At around 12:30, we were on the summit of Round Mountain and the sky was becoming overcast. 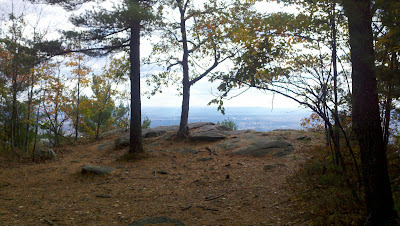 You can't really tell from the pictures, but Round Mountain has a fantastic summit and it takes quite a while to explore it. 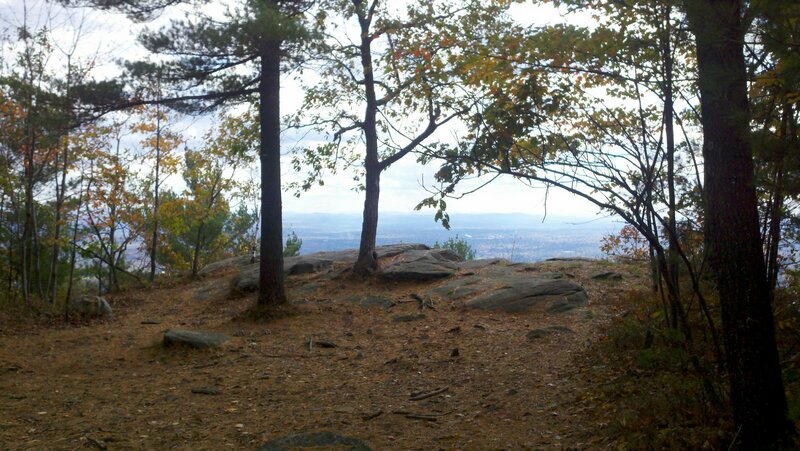 Lots of rocky nooks. 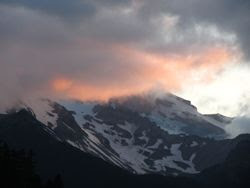 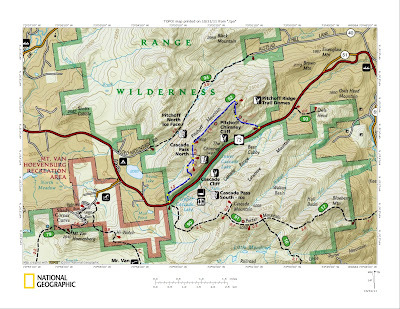 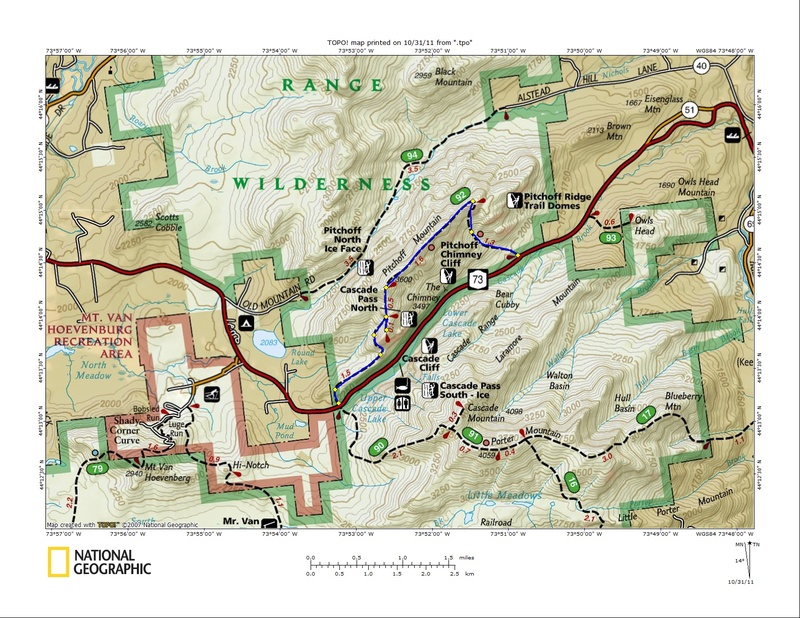 Both of these summits are great for exploration, and for views from rocky summits. 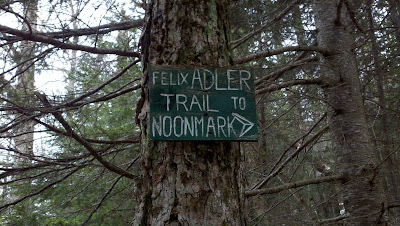 They are also relatively easy to climb and we did the loop with both of them in a half day. 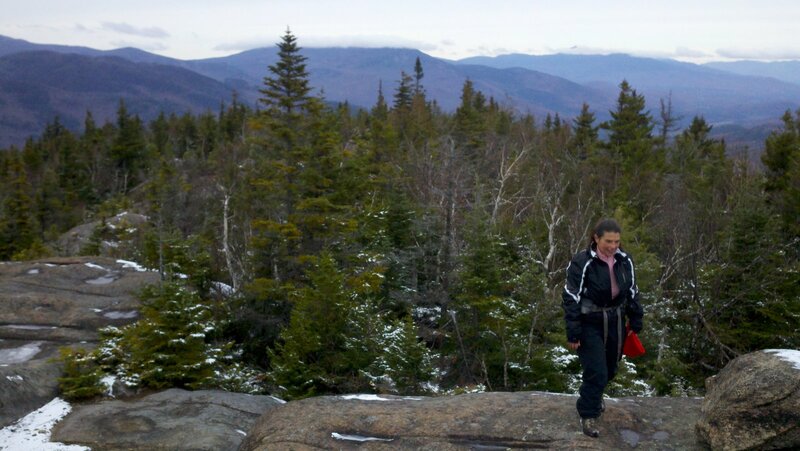 If you're hiking with younger kids, you can hike one or the other. The rewards are great from both. 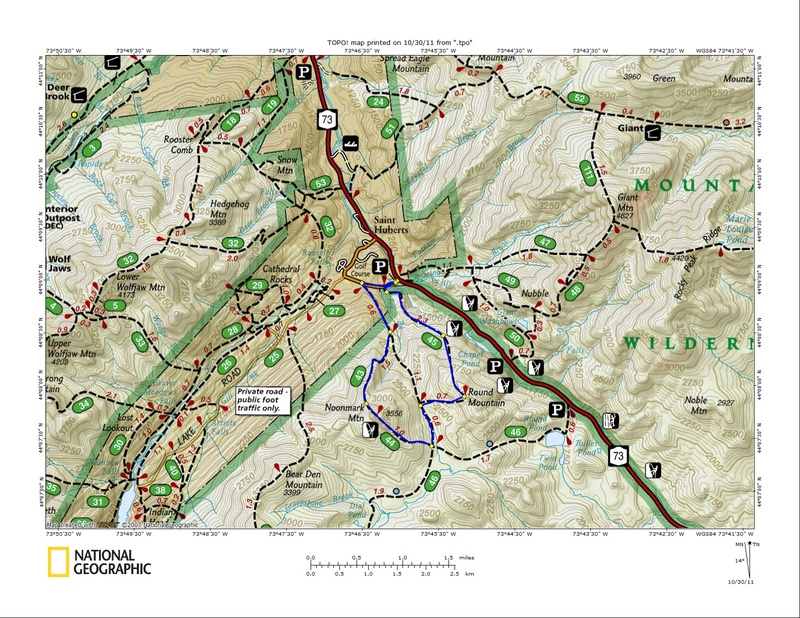 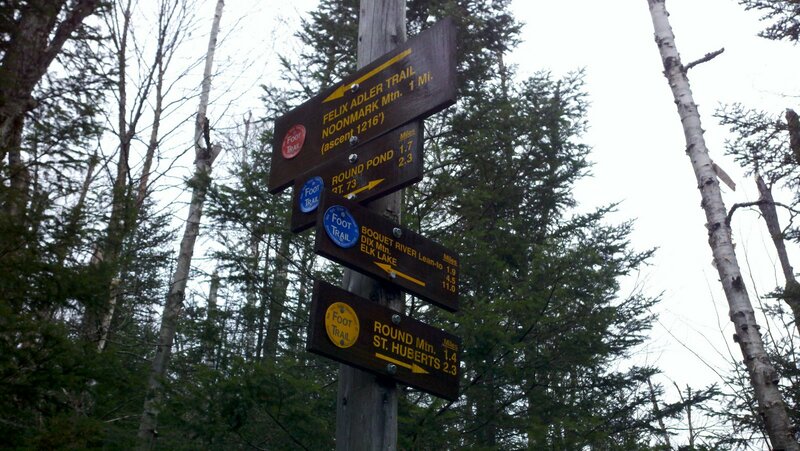 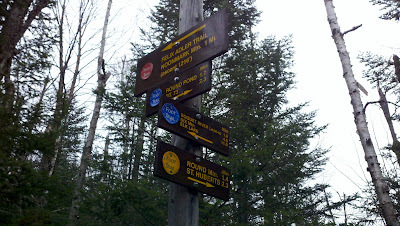 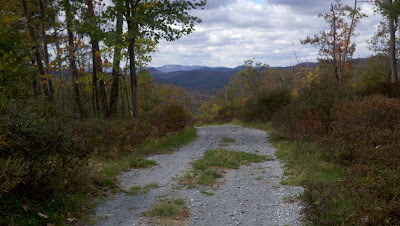 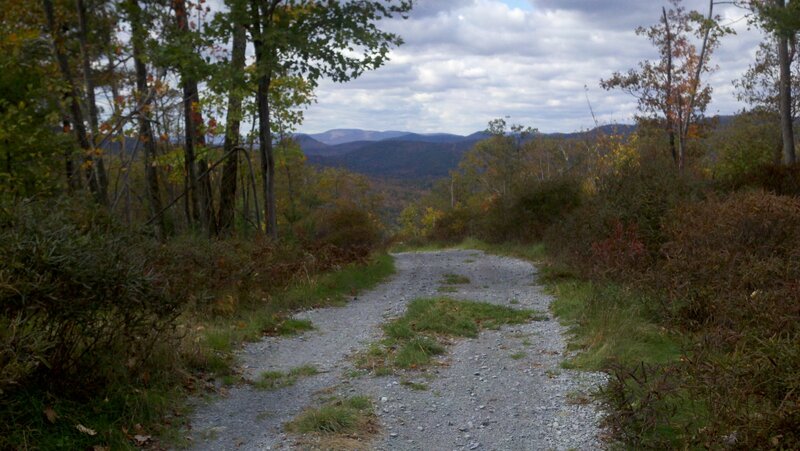 A bonus on this hike is that the trailhead is near the Noonmark Diner, a local landmark and a must after climbing Noonmark Mountain!